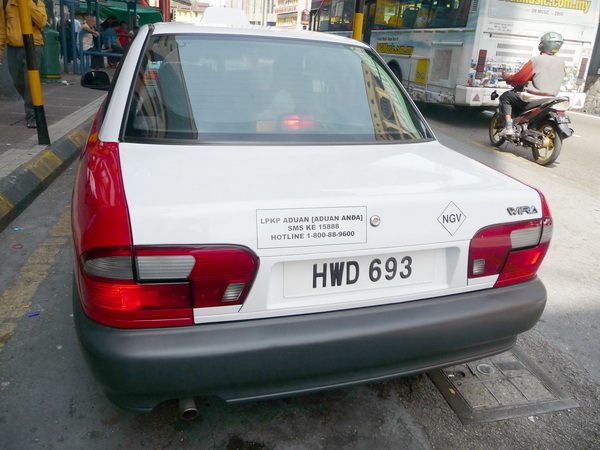 This entry was posted on Thursday, May 1st, 2014 at 5:10 pm and is filed under Borneo, Malaysia, Sabah, Sarawak. You can follow any responses to this entry through the RSS 2.0 feed. You can leave a response, or trackback from your own site. Great work ! A good read ! 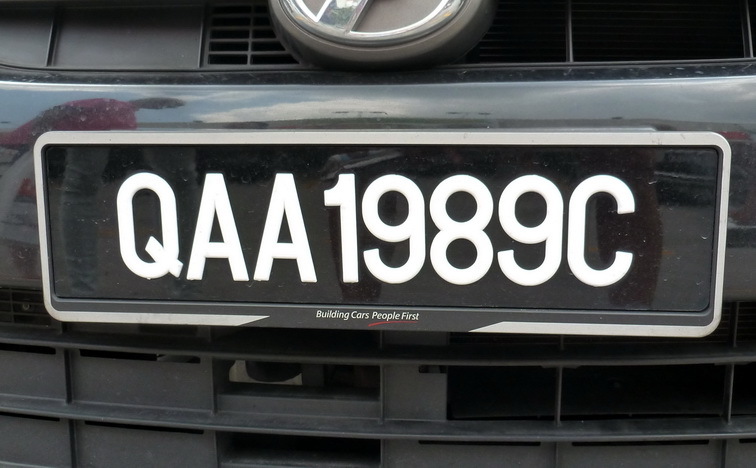 You can find a good number of ‘Distance Taxis’ on the highway that links Kuala Lumpur to Putrajaya. It’s know as the Maju Expressway or MEX. 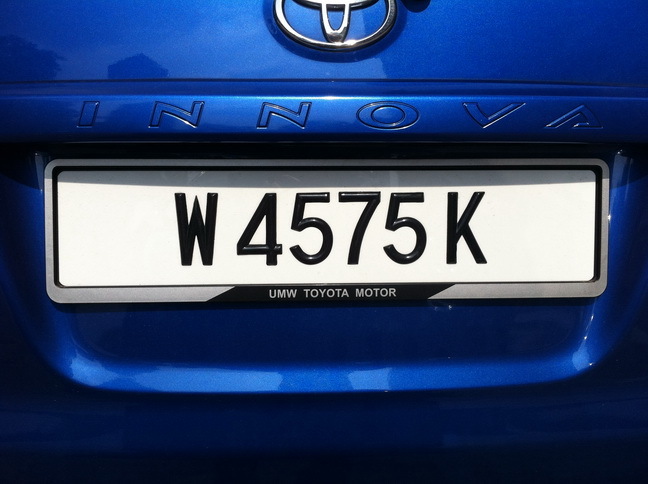 You can also find many diplomatic cars on this highway, they have the rare white-on-red number plates, but some have white-on-black ones too, but they all have a ‘DC’ or ‘CC’ suffix. 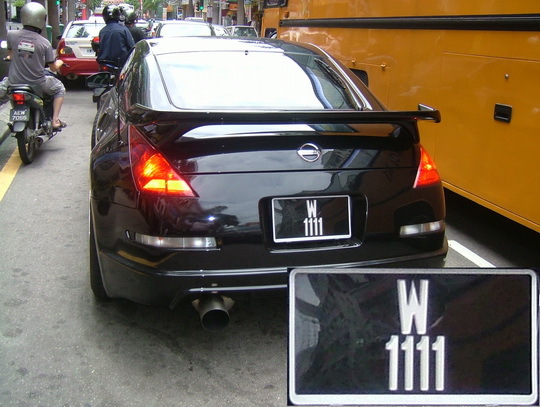 W stands for Wilayah Persekutuan (Federal Territories of Kuala Lumpur, Putrajaya and Labuan [Victoria]). which came from the Arabic word Wilayat. 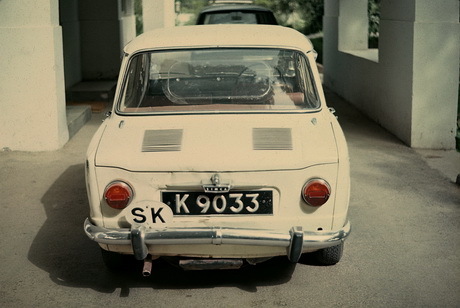 The Prefix W was introduced to identify vehicles within the Federal Territories if Kuala Lumpur and Putrajaya post 1965. 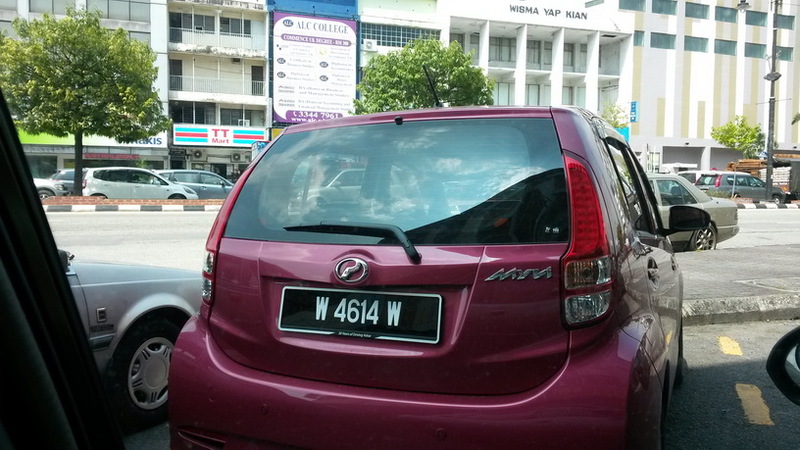 W stands for Wilayah Persekutuan (Federal Territories). Despite Malaysia having three Federal Territories of Kuala Lumpur, Putrajaya and Labuan (formerly Victoria) W is only used in Kuala Lumpur and Putrajaya. Wilayah came from the Arabic word Wilayat. 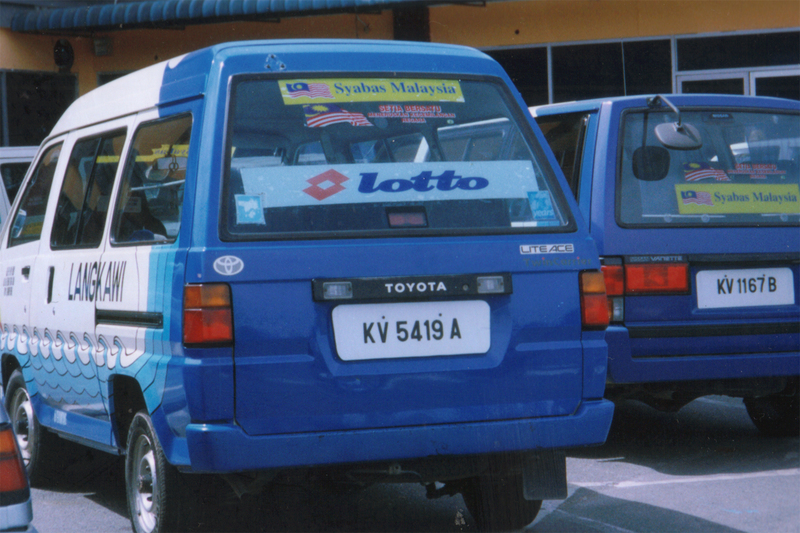 Labuan (Victoria) has a separate prefix of L, SL & LA. 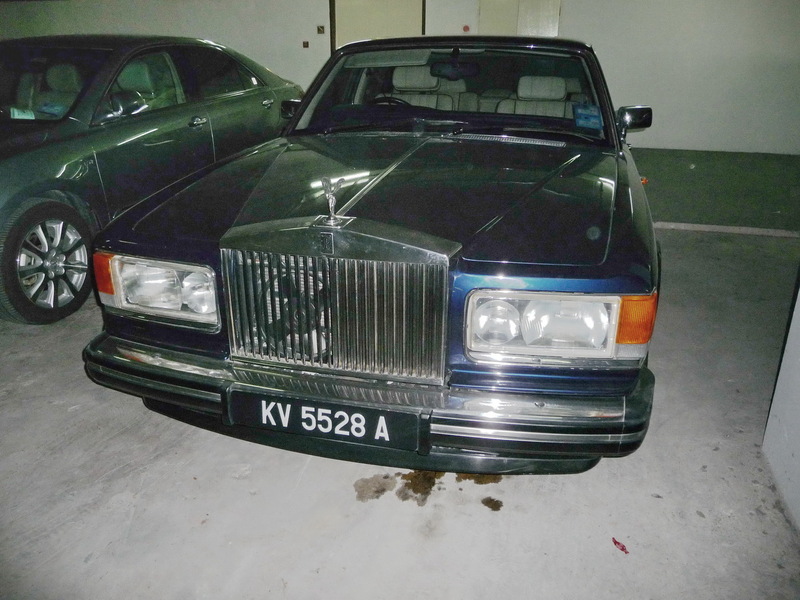 And as time has moved on, Putrajaya has exhausted its ‘Putrajaya 1-9999’ series and commenced ‘F 1-9999’ (where the F is thought to abbreviate ‘Federal’). This must have started very recently – maybe November 2016…. 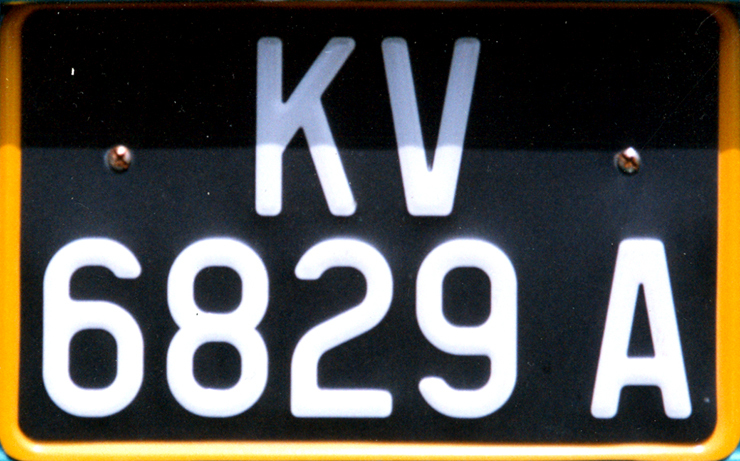 Note that during a period commencing 1963, Labuan’s original ‘L 1-9999’ plates were modified by the insertion of a letter ‘E’ preceding the ‘L’, which designated the revised status of the island, having been brought under the newly-named East Malaysia. EL 1234. 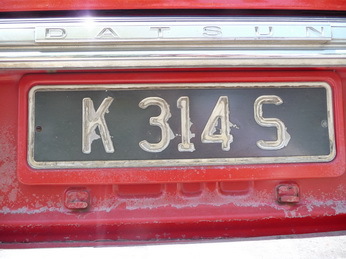 So, since about 1905, the tiny island has had L, EL, SL (Sabah-Labuan), (plus SL with extender A (SL 6505 A)) – and currently it uses LA to about LF. I’m unsure how far it has progressed beyond LF. 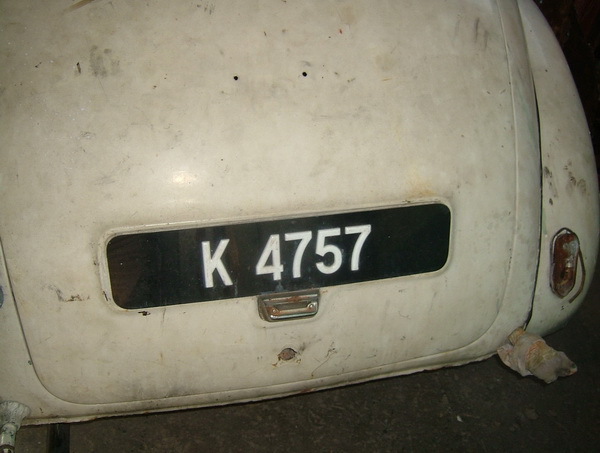 Due to the loose rules in modern Malaysia, it is possible to obtain your numberplate with any regional code you wish, and of the many vehicles on the mainland (peninsular Malaya) carrying Labuan codes, hardly any have ever seen the island, nor ever will. It is a duty free zone and I suspect that, like Langkawi, it is possible to save tax on the purchase, if you can come up with an address in either place!